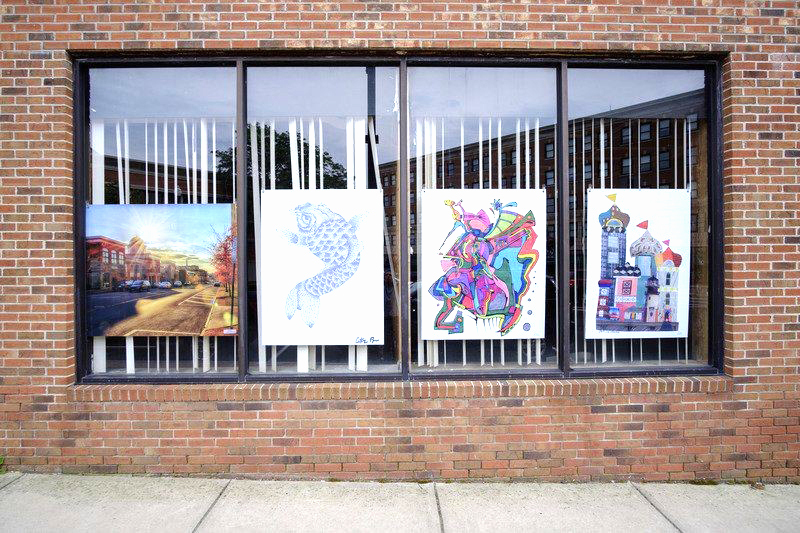 CITY OF NORTH TONAWANDA- The Oliver Street corridor, located within the City of North Tonawanda will soon become home to a public art initiative known as “Art on Oliver Street”. Art on Oliver Street will consist of various public art installations in hopes of re-activating the streetscape. Pedestrians on Oliver Street between Thompson and Wheatfield will soon be immersed in a walking art gallery, in which artists reproductions will be hung in approximately 24 windows of vacant and underutilized buildings. Art on Oliver Street will also include a large mural painted on the side of a building and a 3D window display. “It is our hope that Art on Oliver Street will generate foot traffic, bring attention to these buildings, and showcase the talents of the local arts community” states Laura Bernsohn, Planning and Development Specialist at Lumber City Development Corporation. The program is currently seeking artist submissions which will be reviewed by a committee comprised of the local arts community, community leaders, and business owners. All artists are encouraged to apply. Artwork will be installed in Spring 2019 and a public opening night celebration will occur in June.